If you have a Slinky around that you are not using, here is a great way to repurpose it! Why not do good with that old toy you are no longer using? 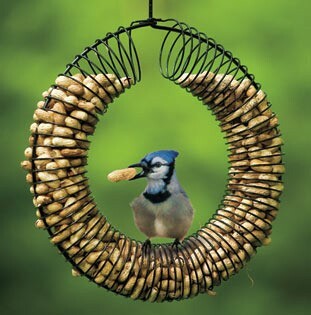 With a little effort you can make a great bird feeder or nesting materials holder for the birds in your area. There is a great tutorial at Why Not Do It Yourself. If you decide to paint the Slinky, make sure to use Rustoleum paint (except Bright Coat Metallics or the Cold Galvanizing Compound). Be sure to let the paint cure for a week before filling it with bird food.